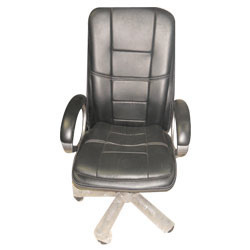 We introduce ourselves as leading organizations in offering Ergonomic Furniture. We are a unique entity in the industry, actively committed towards providing an optimum quality range of Ergonomic Desktop Table. With our in-depth knowledge of this domain, we are actively engaged in offering an excellent quality assortment of Ergonomic Office Chairs. 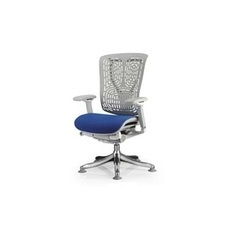 An ergonomic chair is one that is designed to provide maximum support to the back. These chairs are recommended for people who suffer from back pain, or have been diagnosed with problems of the spine. However, anyone who wants to feel comfortable while sitting for long hours should go for an ergonomic chair. We are offering a wide series of Ergonomic Chair. Our products are extremely well-liked by customers due to their low maintenance and strong nature. With the help of accomplished experts, we have been capable to present an extensive range of Ergonomic Visitor Chair. ABS back With Head rest Neck and Lumbar support adjustment. Armrest adjustable. Torsion bar mechanism Hydraulic for height adjustment Crome plated steel base. 24 months standard warranty for Base wheels Mechanism and 12 months for Hydraulic. We are a unique name in this industry to provide our prestigious clients an exclusive range of Ergonomic Office Chair.